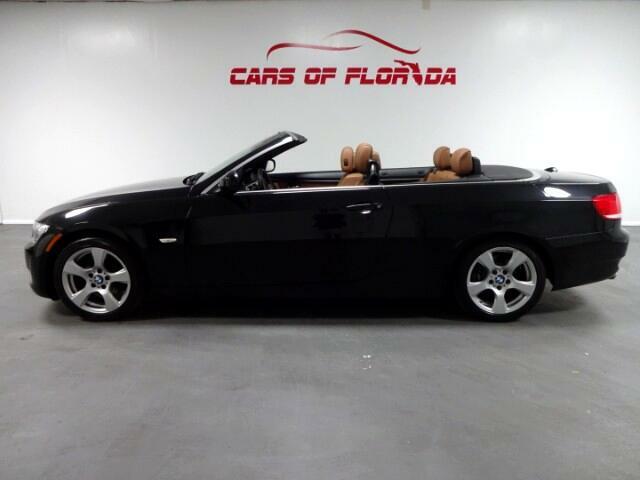 Cars of Florida is proud to announce this 2010 BMW 328i Hardtop Convertible with only 119k pampered highway miles! 2 Owner gem with NO accidents. Original Window sticker included in the vehicle shows retail in 2010 was $59,000! Cold weather package, premium package, amazing orange sport leather seats and sport package. This one has all the bells and whistles! Navigation, Bluetooth, Auxiliary and USB! Upgraded Harmon Kardon surround sound! WILL NOT LAST AT THIS PRICE! Leather and interior are all in top tier condition. Vehicle is free of blemishes. 160 Multi-point inspection reveals amazing service history as also reflected on Carfax. Qualifies for AutoCheck Buy Buyback protection! Green light vehicle all the way! Contact us today to make this gorgeous BMW convertible your new obsession! We don't just sell cars, we sell dreams. Visit us at Cars of Florida located at 1136 E. Fletcher Avenue Tampa FL 33612 and let your new car find you! ALL VEHICLES COME WITH A COMPLEMENTARY WASH AND WAX!